SINCE 1986, THE ESTATE PLANNING COUNCIL HAS UNITED PROFESSIONALS SERVICING THEIR CLIENTS’ INVESTMENT AND LEGACY NEEDS IN OUR COMMUNITY. This Council provides a source of educational information, and a forum for networking among disciplinarians who practice facets of estate planning while promoting interdisciplinary communication and cooperation. The goal of our professional members is to improve our knowledge to render the best professional service to the public. 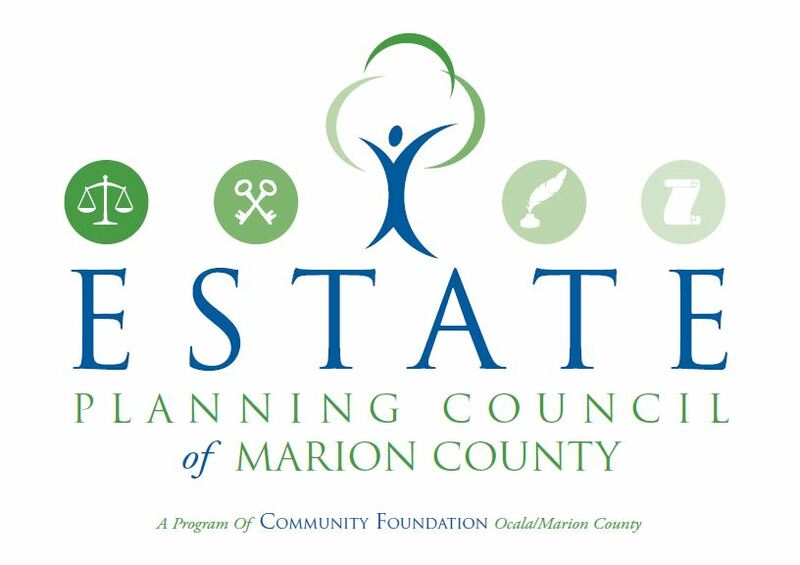 Membership is Open to Estate Planning Professionals in Marion County. Estate planning encompasses the growth, conservation and transfer of an individual’s wealth through the creation and maintenance of an “estate plan.” The purpose of estate planning is to develop a strategy that will maintain te financial security of individuals through their lifetime and facilitate the intended transfer of their property and assets at death, while taking into consideration the unique circumstances of the family and potential costs of different methods. If you seek advice and guidance with regard to your estate planning needs, please view our member director and find the type of member advisor that meets your needs. Quarterly meetings featuring guest speakers on topics of current importance at the local, state and national level. Networking opportunities with other professional groups within various member sectors – law, finance, banking, insurance, etc. Secretary: Warren Bullard – Bullard & Mullkey, P.A.